Redland Green School has been rated as an ‘Outstanding’ school by Ofsted in its recent inspection This is the first inspection since it became an academy in 2012 and shows the tremendous developments that have taken place since we opened ten years ago. We recognise that Ofsted is only one way of measuring a school’s success, however we believe that this report is an accurate reflection of our staff and pupils’ commitment and diligence. The headteacher’s leadership is fundamental to sustaining the high levels of performance. Her vision, commitment and drive to achieve the very best education for each pupil within the school are commendable. Leaders across the school share and support the headteacher’s vision. Consequently, the school’s ethos of ‘Respect, Ambition and Responsibility’ permeates throughout. Governors know the school well and continually provide excellent challenge to senior leaders to improve the quality of education for pupils. Governors have a clear vision for the school's future direction. Parents can give their views of Redland Green School at any time of the school year and at the time of a school inspection using an online questionnaire called Parent View. 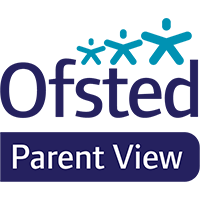 Register and give your views on our school at the Ofsted Parent View website.